IT Consulting – Mainbrace Technologies, Inc. Most organizations, from very large corporations to small businesses, require the installation of some sort of computer network to enable the sharing and centralization of essential data. The inherent efficiency of having employees share information has created the demand for networks and Mainbrace Technologies Inc. has the resources you need to implement these tasks. Our in-store analysts are available at all times to lend technical assistance. Many business processes have a technical element that needs to be addressed. We have been called in to provide these services in a number of situations over the past 40 years. Local Area Networks (LAN) require a skilled approach to hardware and software selection and deployment. Mainbrace Technologies has developed a proven “needs based” approach to this issue starting with comprehensive requirements analysis, followed by hardware and software selection and installation. Data conversion, employee training and enterprise backup and security along with ongoing support will assure a successful Local Area Network. Many businesses have multiple offices requiring many of the same steps for the LAN deployment, but adding the requirement for using external connectivity. Today this is accomplished in most cases by the use of the Internet. Our skilled technicians are able to design the Wide Area Network (WAN) and, provide for a secure remote addition to the enterprise network. 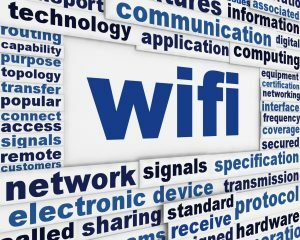 Enterprise WiFi systems are increasingly becoming a requirement for many businesses. The hospitality industries, in particular, have the need to provide their customers with reliable and secure Internet access. We have developed specific solutions for this commerce industry and if you would like further information, please contact us via telephone or E-mail or, use the Contact Link to access our professional consultants. All of our projects start with a rigorous definition of the problem. Once the problem is defined the process of systems analysis can begin. Our expertise is in applying technology with the business process to achieve cost savings or increased productivity, or both. Good systems analysis is an essential part of all Mainbrace Technologies’ projects. Almost all business require some sharing of information between employees and in some cases customers. We specialize in the design and implementation of both LAN’s (Local area networks) and WAN’s (Wide Area Networks). LANs generally mean an internal network and may or may not consist of a server and local workstations. WANs generally refer to connecting of workstations widely dispersed such as branch offices. Our network analysts are skilled in determining the appropriate network and then implementing it and providing on-going support. The process of implementing computer solutions to a given business process is Systems integration. In one way or another Most individuals and businesses have a need for the adoption of technology to their unique issues. Our ability to define business issues and then provide solutions is what sets us apart. Whether it is building a web site or implementing a Point of Sale system our experts are skilled at providing these services to our customers. Facility Management is devoted to the coordination of space, infrastructure, people and organization, often associated with administration. Mainbrace Technologies Inc. provides skilled facilities management giving Enterprises access to the latest technology, providing advanced management capability to a variety of business activities including and not limited to the management within sheriff departments, hospitals and hotels. With Mainbrace Technologies Inc. as a facilities management resource, you have a skilled IT department without the expense of having one in-house.